What is the most important skill a professional consultant needs for a successful practice? According to Scott Loring – mediator, executive coach, and negotiation consultant – it’s the ability to deliver genuine empathy to all parties in a transaction. Empathy is the ability to show your deep understanding of the needs and motivations behind others’ demands, requests, and actions. By showing you understand, even when you don’t agree, you build rapport and trust with your clients and others. The three-step formula for delivering empathy quickly and authentically. The way to listen for the underlying interests behind others’ complaints. The differences between empathy, sympathy, advice, and assurances. The reason empathy is the single most important tool for repairing misunderstandings. The way empathy creates opportunities for building trust and referrals. With the tools you will learn in this session, you will be able to close more deals, create a more positive client experience, and generate more referrals. Since 2000, Scott Loring has been bringing his skills in communications, conflict resolution, and team building to individuals, families, and business teams. He has particular expertise assisting client-focused businesses. He helps owners and employees negotiate salaries, business mergers, and conflicts between co-workers. Scott was trained by Meditation Works, Inc. (MWI) and Harvard University’s Program on Negotiation (PON). 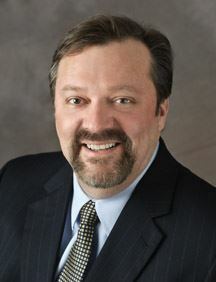 He has worked with clients in Boston area courts as well as in his private practice. Scott’s success as a coach and mediator is based on his ability to help clients achieve clarity through his intuition, deep listening, and a direct, supportive communication style.